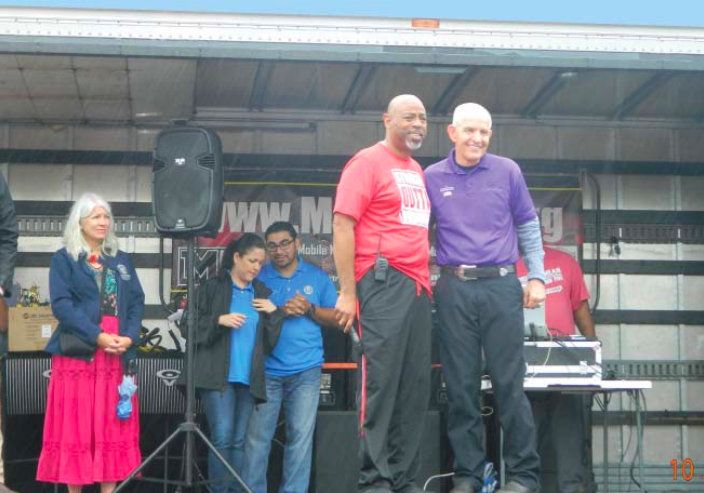 Jensen Jubilee & Festival organizer Pastor David Smith stands with Parade Marshal Jim “Mattress Mack” McIngvale on a wet stage, as the participants and award winners are announced. 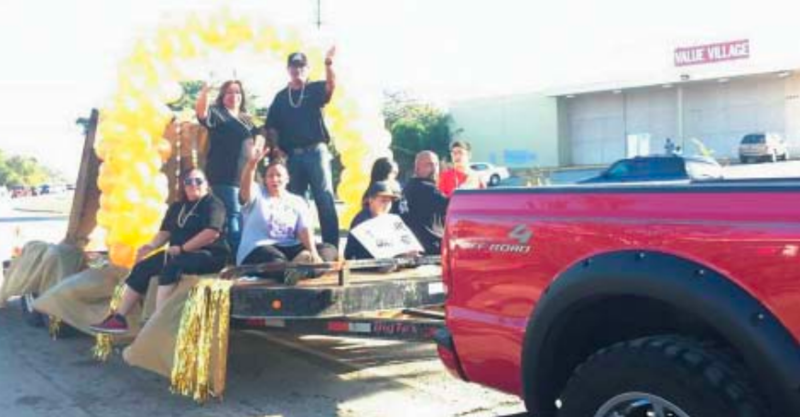 The Eastex and Jensen communities held their annual Jubilee and Festival last Saturday, October 20, on a gray day with a slight rainfall. In spite of the weather, a large crowd lined Jensen Street to see the parade, which included marching bands and dance units, fire and police, horseback units, and almost every political candidate that is running for office in Harris County. The Grand Marshals for the Parade were Jim McIngvale of Gallery Furniture, and City Councilman Jerry Davis. Also participating were State Representatives Armando Walle and Ana Hernandez, State Senator Sylvia Garcia, and Candidate for County Commissioner Adrian Garcia. 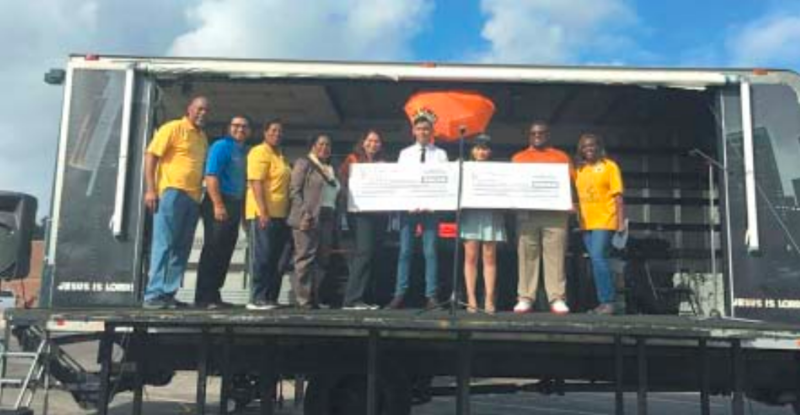 The Jensen Jubilee and Festival was sponsored by UT Physicians Clinic, who also donated scholarships to students from Sam Houston STEM High School. Lone Star College students and officials celebrate the announcement of the LSC Promise Firsts Scholarship program. Pictured (left to right): LSC graduate Jesús Contreras; Stephen C. Head, Ph.D., LSC chancellor; Alton Smith, Ed.D., LSC Board of Trustees chair; LSC graduate Rachel Perez; Massey Villarreal, LSC Foundation Board director; Mario K. Castillo, LSC chief operating officer & general counsel. 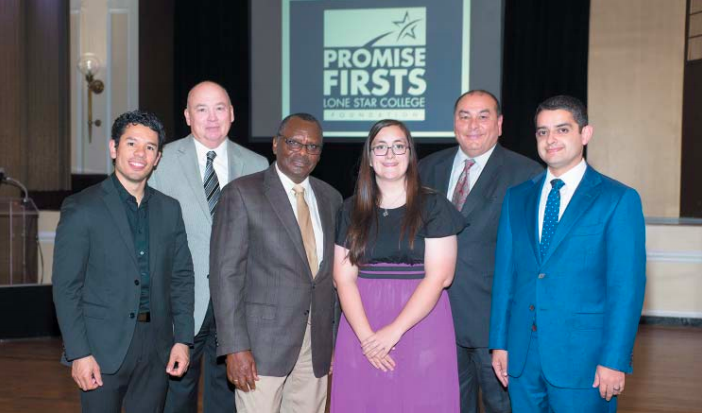 HOUSTON (Oct. 26, 2018) – Students living in communities that traditionally lack resources to succeed now have an opportunity for a brighter future thanks to the Lone Star College Promise Firsts Scholarship program. 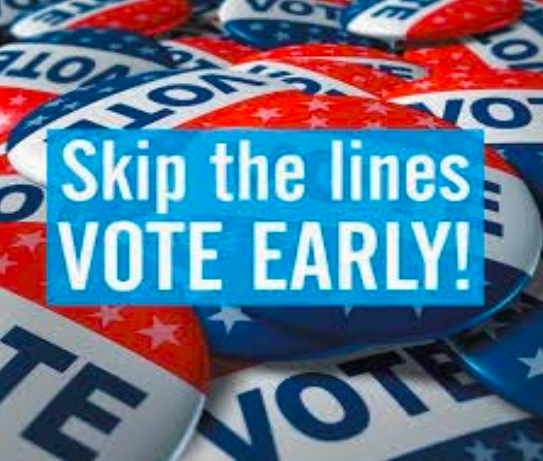 HARRIS COUNTY – Voters can start to begin to cast their votes starting this Monday. This midterm election is considered by most political observers to be an important statement about the current Republican control of the White House, Congress, and the Texas government. 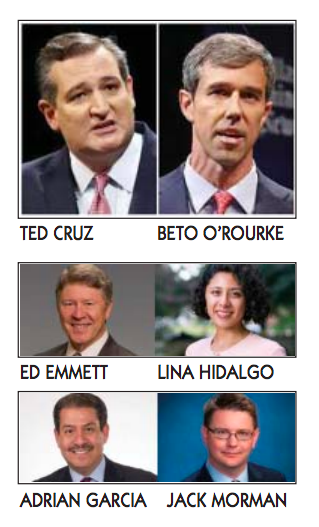 The election for U. S. Senate has probably gained the most attention, both in Texas and nationally, Incumbent Senator Ted Cruz has seen a strong challenge from Democratic candidate Beto O’Rourke, who has raised much more money than Cruz in his campaign, and seems to have an enthusiastic grass roots support among the public. A number of U. S. Representatives seats are open for election, including District 6, with incumbent Kevin Brady vs. Steven David; District 18 with incumbent Sheila Jackson Lee vs. Ava Reynero Pate; and District 29, where long term Representative Gene Green has retired, and State Senator Sylvia Garcia is running against Phillip Aronoff. A number of State Representatives are running unopposed, and therefore will be re-elected. These include Armando Walle in District 140; Senfronia Thompson in 141; and Ana Hernandez in 143. Harris County voters will decide on keeping incumbent judge Ed Emmett, or vote for Democratic challenger Lina Hidalgo. Other county offices of interest include District Clerk, with incumbent Chris Danie vs. Marilyn Burgess; County Clerk, with well known incumbent Stan Stanart vs. Diane Trautman; County Treasurer, Orlando Sanchez vs. Dylan Osborne. A race of local interest in the Aldine area is for county school trustee, where well-known East Aldine District executive Richard Cantu is running against Marc Cowart. Several County Commissioner seats are to be elected including Precinct 2, where the incumbent Jack Morman faces Democratic challenger Adrian Garcia; and Precinct 4, where incumbent Jack Cagle faces Penny Shaw. In races for Justice of the Peace, of local interest is Precinct 3, Place 2 Lucia Bates is running unopposed. This district includes North Forest and a part of the Aldine area. Voters in the Lone Star College area will be asked to decide between Michael Stoma or George Edwards, Jr. in District 1; Ernestine Pierce or Matthew Wheeler in District 2; and Mike Sullivan or G. Puente in District 8. For voters who reside in the City of Houston, two propositions will be on the ballot, both concerning the finances of the city, and both controversial and considered important. At their regular board meeting last week, the East Aldine District reviewed three schemes for a new office building to house the district offices and related functions. These schemes, as proposed by the architect, PGAL Associates, varied in size and number of stories. The building is to be built at the center of the new Town Center project on Aldine Mail Route. The first scheme as developed, is a two story building of approximately 16,950 square feet. The building is mainly for offices of the district, with lease space available on the second floor totaling 3300 sq. feet. On the first floor, in addition to district offices, there is a large multi-purpose/meeting room, able to house almost 200 persons seated or at tables. This room is also divisible into smaller sections. It is served by a small kitchen. A conference room for about 25 persons is also adjacent. The building design features an attractive two story lobby, and on the second floor a large outside Deck overlooking the park and amphitheater which are part of the Town Center development. Construction cost is estimated at about $6,500,000. 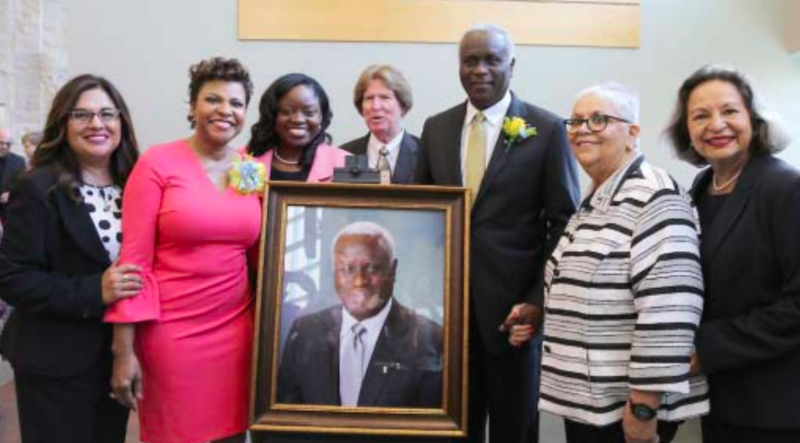 Dr. Archie Blanson and his wife Beverly pose with Aldine ISD Superintendent Dr. LaTonya M. Goffney and members of the Aldine ISD Board of Trustees following a dedication ceremony to officially open the Dr. Archie L. Blanson Career and Technical High School. The ceremony was held on Sunday, Oct. 14. Grenita Lathan remains as HISD Interim Superintendent. Oct. 15, 2018 – The Houston Independent School District Board of Education announced today that Dr. Grenita Lathan will remain as the interim superintendent of HISD, the largest school district in Texas. During a press conference at the Hattie Mae White Educational Support Center, trustees announced that they have mutually agreed to consider the reinstatement of Dr. Lathan as interim superintendent and the rescinding of Thursday night’s vote to appoint Dr. Abelardo Saavedra to the position. “We, the Board of Trustees of the Houston Independent School District, would like to apologize to Dr. Grenita Lathan, our students, the community at large, the parents and families, all HISD employees, and our business and community partners,” Trustee Diana Davila said. 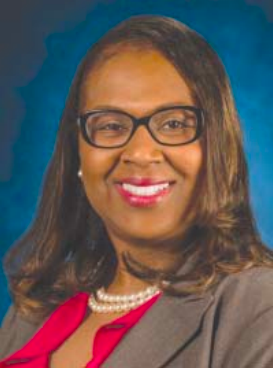 Dr. Lathan will remain as interim superintendent of HISD while the executive search firm Hazard, Young, Attea & Associates conducts a national search for a permanent superintendent. Dr. Lathan will have the opportunity to apply for the permanent superintendent position. Last year’s parade floats travelled down Jensen Blvd. When communities struggle, whatever the cause, a unique opportunity exists to bring people together and focus on working for the benefit of the community. The Houston Northeast CDC and Jensen Jubilee Committee are committed to seizing this opportunity to help to rebuild a resilient community in the Eastex/Jensen area. On Saturday, October 20, 2018, the organizations will host their 5th Annual Jensen Jubilee Parade & Festival. Jim “Mattress Mack” McIngvale, and City Council Member Jerry Davis (District B), will serve as Grand Marshalls for the parade starting at 10:00 am proceeding from 2800 Trout Street to 9001 Jensen Drive, where the Community Festival will take place immediately following the parade. The purpose of the Jensen Jubilee project, which launched from strategic planning meetings to clean-up the area, is to promote sustainable revitalization through residential, commercial and economic development, historic preservation and the empowerment of our neighborhoods. Some of the successes of the Jensen Jubilee collaborative include partnerships with residents, schools, churches, businesses, and public officials; providing scholarships to area high school students; hosting town hall and specialized meetings; organizing community clean-ups; and the opening of UT Physicians Community Health and Wellness Center Jensen. This shows that together with great partnerships and hard work, we are able to not just revitalize our community but also to rebuild it, says Pastor David Smith, president of the Houston Northeast CDC. The very fact that there is a coming together within the community is a huge step forward. The Houston Northeast CDC & The Jensen Jubilee Committee is grateful to all the partners who provide their time, expertise, and the perspective necessary to maintain the momentum and relevance in the community. The Parade & Festival serve as the premium fundraiser to be able to offer the community services provided through the Jensen Jubilee collaborative. Festivities will begin with the Jensen Jubilee Parade on Oct. 20th, of which the community is invited to come and enjoy at 10:00am. After the parade, the Festival will kick off with music, kid’s zone and participation of over 30 service providers and vendors. Introduction of King & Queen at last year’s Jensen Jubilee. The Harris County Flood Control District has completed a county-wide effort to remove downed trees and other storm debris left blocking Harris County’s bayou drainage system since Hurricane Harvey more than a year ago. 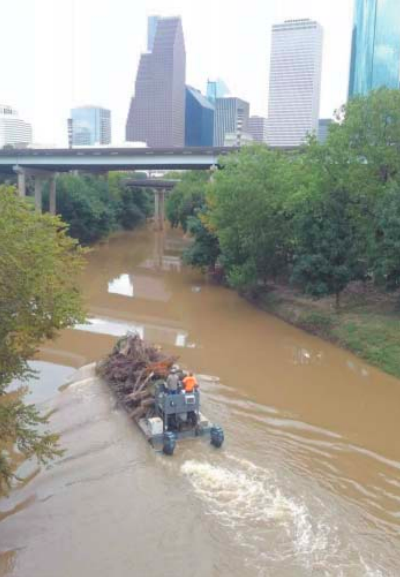 With a last push on Buffalo Bayou and Cypress Creek, and expenses estimated at $8.9 million so far, more than 140,000 cubic yards (roughly 40,000 tons) have been removed since this work began shortly after the storm. In recent months, crews removed more than 25,000 cubic yards (7,042 tons or 642 truckloads) of debris from Buffalo Bayou, and 14,000 cubic yards (3,978 tons or 327 truckloads) from Cypress Creek. Concentrated effort on those two forested bayous followed an initial countywide sweep that resulted in the removal of 101,383 cubic yards of material from Harris County’s 22 watersheds. Removing debris from within our channels was a high priority in the days and weeks after Harvey. Downed trees and other storm debris can impede stormwater flow and increase erosion, especially along natural forested channels. The Flood Control District used special storm debris contractors, as well as in-house debris removal crews, to complete its sweep of the county’s 22 watersheds. Former superintendent Abelardo Saavedra, right has been voted in to replace Grenita Lathan, left, as the search continues for a permanent superintendent. SEE UPDATE. SAAVEDRA WITHDRAWS. The Houston Independent School District is bringing in a new interim superintendent. It’s the third leadership change this year for Texas’ largest school district. 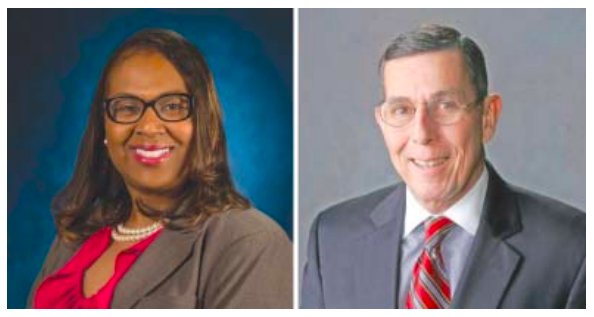 At a contentious meeting last Thursday night, the school board voted 5-4 to replace Interim Superintendent Grenita Lathan with former superintendent Abelardo Saavedra, while they are searching for a permanent one. Former Superintendent Abelardo Saavedra will serve as Interim Superintendent for six months during the search for a permanent superintendent. Saavedra was HISD’s superintendent from 2004 to 2009, and has recently served as superintendent of South San Antonio ISD. He will reportedly not pursue the permanent superintendent position. “It is nothing that has anything against Dr. Lathan, and the work that she does, and the work that she’s done up to this point,” HISD Trustee Diana Davila told News 88.7. “We just want this to be a fair process for all candidates that are interested in coming down to Houston ISD.” Davila said she welcomes Lathan to apply for the position. Grenita Lathan was chosen as Interim Superintendent, after the departure of Superintendent Richard Carranza. Lathan will resume her previous role of Chief Academic Officer on Monday. The motion to replace Lathan was met with backlash from several board members. • Discount on the rental of the space at any BakerRipley Campus for private events like, birthday parties, anniversaries, weddings, etc. Why does the membership have a cost? What happens if a community member cannot afford the membership? • In the given case that a community member is unable to cover the membership cost, we encourage them to come talk to us as there are different options that will allow the community member to obtain a free membership. 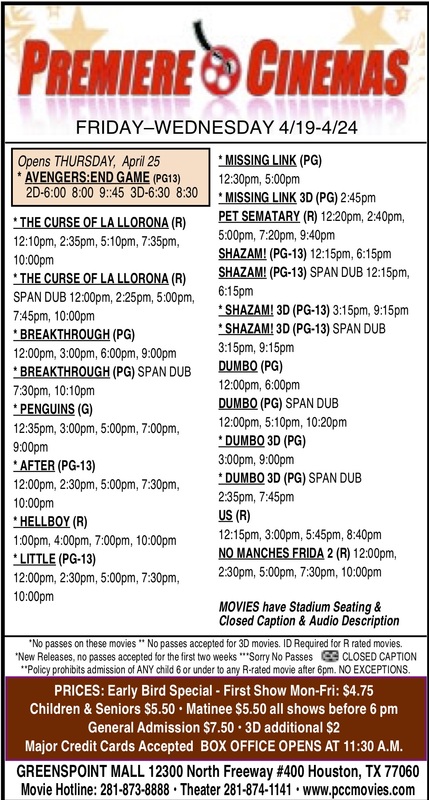 For example, as mentioned, subsidized membership, and/ or sponsored membership.